A 73-year-old man has been arrested on suspicion of sexual offences as part of a police operation prompted by the Jimmy Savile abuse scandal. 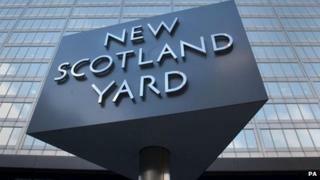 Scotland Yard said the man was arrested in north London earlier. Operation Yewtree is the investigation into abuse by Savile and others, and police said allegations against the man held were not linked to the late DJ. Savile died in 2011 and a police report later called him a "predatory" offender who abused more than 200 people. The latest arrest takes the total number of people arrested under Operation Yewtree to 17, and so far seven of those have been told they will face no further action. Another five remain on police bail, including former pop star Gary Glitter, comedian Freddie Starr and veteran broadcaster Paul Gambaccini. All the men deny any wrongdoing.